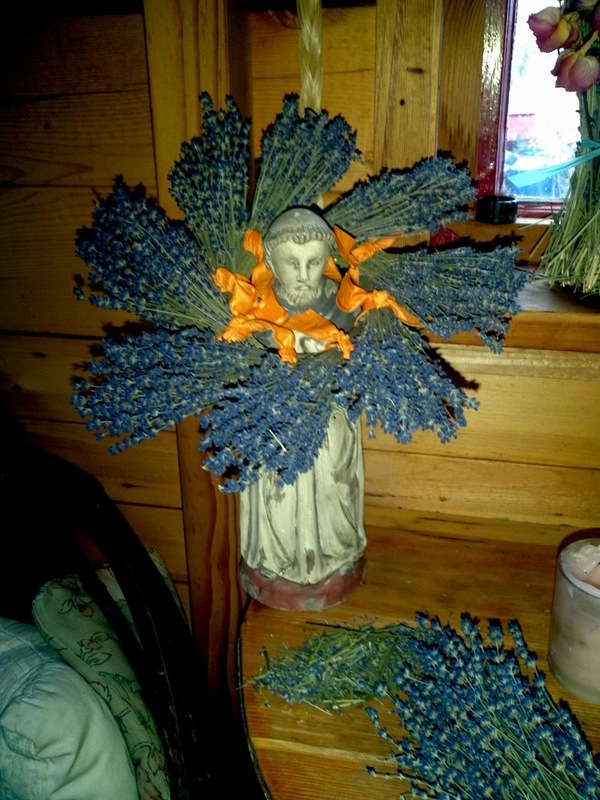 I was not born of a farming life, rather, at age 36 I was struck by a lavender lightning bolt of inspiration while visiting a lavender festival in the year 2000. I came away from that experience knowing in my marrow that I had to farm lavender even though I lived in Montana, had no land or any money. Timing is everything; fortune favours the prepared mind. Everything unfolded exactly as it should. I want everyone to feel, in all six senses what I felt while in the presence of this lovely plant that day at the festival. Let me know that you want to be kept informed on my life, farm, travel, and of course lavender products. You would be the first to know when something is fresh off the hill or out of the garden. On a road trip through Wise River, Montana I saw a man out working in his garden. I asked him "How many frost-free days do you get in a year?" I was, as I had been since age 25, dreaming of buying land and had pegged down a couple areas of interest. I've been thinking about stigmata. The Christians call it the 'wounds of Christ'. Lately, a week before my period, my right palm itches. I have forever attributed this to there being a check in the mail. But the money has failed to show up these last couple times, and this itch is different.